Romain Grosjean has backed the idea of Formula 1's race stewards being more relaxed about driving standards, but has warned against making the sport rough-and-tumble like Formula E.
As Motorsport.com revealed over the Bahrain Grand Prix weekend, the FIA stewards and race director Michael Masi met with drivers to discuss how best to deal with rules of engagement in wheel-to-wheel racing. 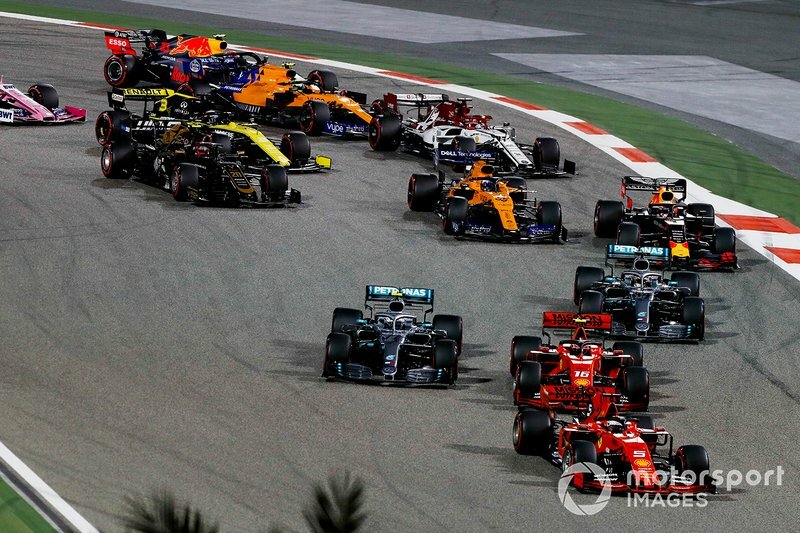 It comes amid the battle to find the right balance between being too harsh with penalties that stops drivers fighting each other, or being too relaxed and letting bad behaviour creep in. 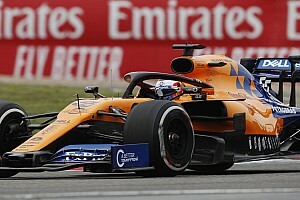 Grosjean, who is a director of the Grand Prix Drivers' Association (GPDA), said that he would welcome things being a bit more relaxed, but without going to extremes. "I don't think we want to go crazy, but I think if it's not intentional and you go for an overtaking manoeuvre and you lock up and you touch, then it's not the end of the world," said the Haas driver. "If you do a Grosjean at Spa 2012 or a [Nico] Hulkenberg at Spa last year - okay, it's not intentional, but it's got big consequences so it's got to be penalised. Same as [Sergio] Perez in Singapore. 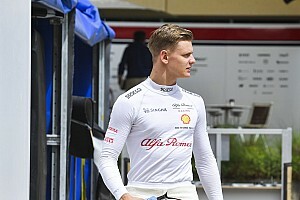 "But on lap one if you brake a bit late, or what I had in Austin with Charles Leclerc, I felt sorry I spun him, but his race was already dead because he had damage on the front wing and the floor, so I think the consequences were not that bad. "I think it's a racing incident. His race was compromised, so what do we do? I think we should just say, 'well, it's lap one, everyone wants a position'. 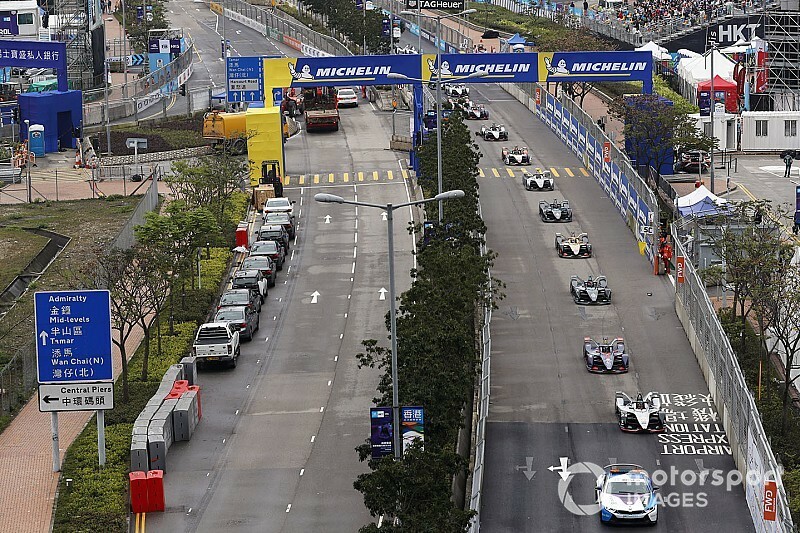 "But we don't want Formula E, because I think Formula E has gone a bit too far. But if you touch someone anyway [in F1] your car is broken." 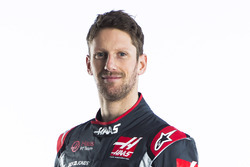 Grosjean said he welcomed the discussions with FIA stewards, including Garry Connelly, because it was important that drivers could get their point of view across. "If I'm the head of the GPDA, it's because I'm interested in the sport and I want to make it better," he explained. "It was really good from Garry and Michael to hear what we've got to say. Because the fact is we don't want to go into a braking zone trying to overtake someone and thinking 'oh, if I lock up and I touch him, that's going to be a penalty'. We want racing. 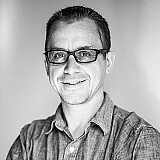 "S**t's going to happen over 21 races, but it always balances itself, I think, in the end. I think it's good that we can go racing, and we can fight. "Obviously there are a few things that we don't want to see, and moving under braking is a big one, because to me that's the biggest danger nowadays. 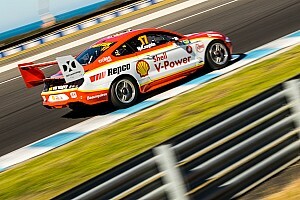 I think if that's really something we're strict on, for the rest, we should be allowed to race and have fun."